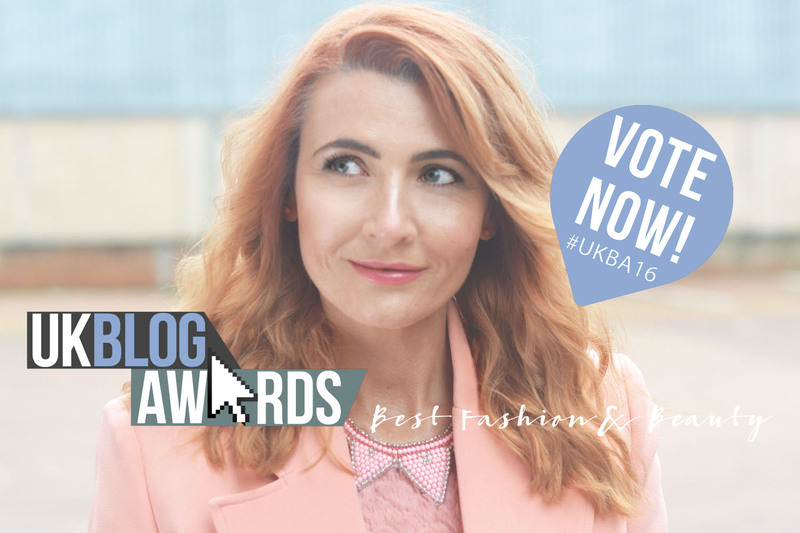 Some of you may have already seen either in Monday’s link up post or all over my social media that I’ve started my campaign to get shortlisted for the UK Blog Awards again! I was shortlisted last year thanks to my wonderful readers voting for me – I didn’t win unfortunately but I’ll only be able to do it this year if you vote for me in your droves again. This year they’ve made the voting daily (I’m not best pleased about that), so you’re allowed to vote once per email address you have, once per day, on different devices – but remember I appreciate as many or as few votes that you can personally cast for me. I hate having to badger people for votes on a daily basis, but if I don’t, I may not get shortlisted because the bloggers that do will get shortlisted…! Thank you so much for taking the time to do this for me; I now that being shortlisted and going on to win will be the best thing [ever] for my blog and the exposure it will receive. The more exposure I receive, the better the content I can produce for your enjoyment. *Voting closes Monday 25th January, 9pm UK time (1pm PST, 4pm EST). I can’t begin to say how grateful (and humbled) for the number of votes I’ve been told (through your tweets and comments) that you’ve already cast – if you do vote tell me below or tweet me @notlamb! Of course I voted for you, several times in fact, lots of luck!! Thank you so much Tone!!! !